A Rinkya Blog: Japan Design Studio Lamps! These awesome lamps, winner of a 2006 good design award are from Japanese design studio Rezon. The lamps not only provide light, but are beautiful pieces of art. With the light off, they set one scene, with the light on, a completely different scene is shown. 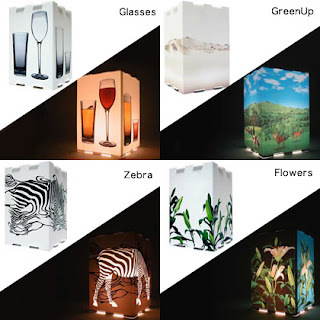 I love the zebra one with the light off! You can order direct from Rinkya Stores via the Product Page! Get an original design piece from Japan for your home!